Ian Livingstone is Visiting Professor | D.A.R.E. 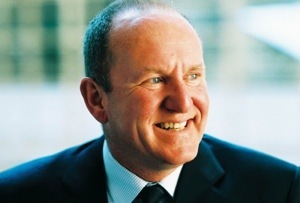 Ian Livingstone is Visiting Professor at the UCL Institute of Education, working with DARE on game-based learning. Ian co-founded Games Workshop in 1975, launching Dungeons & Dragons in Europe and the Games Workshop retail chain. At Eidos, where he served as Executive Chairman until 2002, he launched major franchises including Lara Croft: Tomb Raider. He co-authored the Next Gen review published by NESTA in 2011, recommending changes in ICT education policy, spearheading a campaign that led to the introduction of the new Computing curriculum in Schools. The report argues for links between programming in schools and the Arts, supporting the now- widespread conception of integrating the Arts into the STEM curriculum, represented by the adapted acronym STEAM. Ian spoke on this subject at last year’s Coding and Creativity summit, organised by DARE. His talk, and others from the event, can be heard on this site.